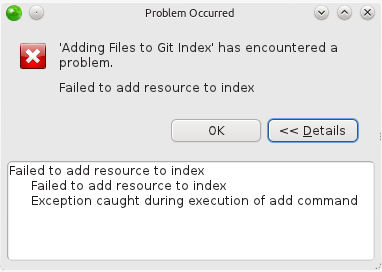 Encountering the following error in Eclipse/Zend Studio while trying to add files in Git? Check if a file ‘index.lock’ exists in the .git folder located in the root folder of your project. If so, remove it and you can continue working! Once this is done, we need to tell JVM (Java Virtual Machine) to include the path to our new libsvnjavahl-1.so file, when searching for extensions. We can do this in the eclipse configuration file. It is located inside the directory in which you installed Eclipse and is called eclipse.ini. Restart Eclipse and you’re done. Tested on Eclipse Galileo (3.5.2) through all latest releases on Ubuntu 10.04 and onward.